Recreational cannabis goes legal in Canada on October 17th of this year. 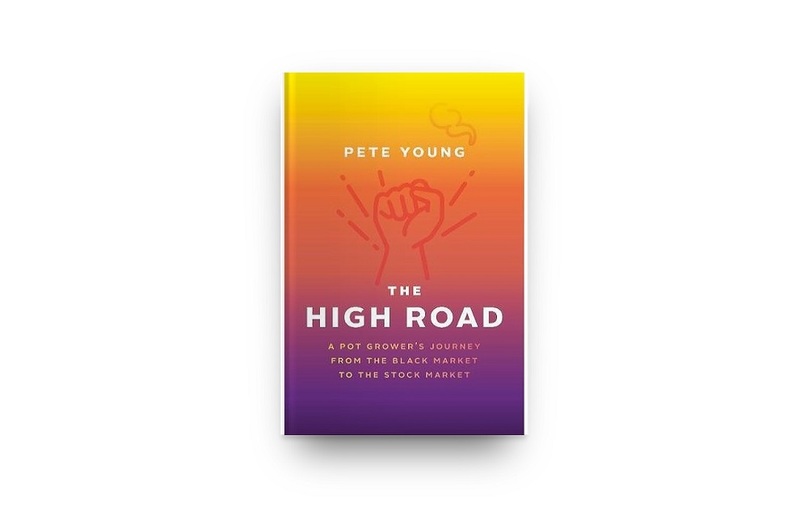 It’s also the day Pete Young’s memoir, The High Road: A Pot Grower’s Journey from the Black Market to the Stock Market will be available for purchase through Amazon and Indigo. Pete Young is a Co Founder and Master Grower of London, Ontario’s first and only Licensed Producer, INDIVA Ltd., and has been a leading voice for Canadian cannabis since the early 1990’s. Now with a monumental shift to legalization – Pete is releasing his memoir about his life’s passion and what it’s taken for cannabis to finally get to where it is today. The memoir tells Pete’s story of cannabis activism and compassion throughout the last three decades and his fight for the people who rely on cannabis to live their daily lives. Pete is the real deal. There’s just no other way to say it. In a world where cannabis seems to be taken over by big business, Pete and his dreadlocks can be found shoeless in a t-shirt, walking around a cannabis convention connecting with like minded individuals as he works tirelessly to help ensure that Canadian cannabis is done the right way. He’s focused on growing the best cannabis and always making his clients well-being the number one priority. For Pete, it’s not about money, it’s about care, compassion and quality medicine, so forget about suits, ties and corporate board rooms – cannabis legalization is for freedom and quality of life. Pete’s roots in cannabis activism date back more than twenty years, throughout which his involvement and willingness to fight for medical cannabis has taken him on a long journey to the eventual success we are witnessing today. From growing his own cannabis on rooftops in New York’s Long Island, to founding the London Compassion Society (LCS) in 1995, to becoming Co Founder and Master Grower of a Licensed Producer – Pete has been the voice for Canadian cannabis compassion all throughout his career. Pete’s story is one of perseverance, focus and compassion – a real look behind the scenes into the ups and downs of cannabis activism. The story so far hasn’t been glamorous, and it hasn’t been profitable, but, it has made a difference. An interesting, insightful read and a breath of fresh air in a cannabis world where all one seems to hear about is stock prices and the latest merger or acquisition.